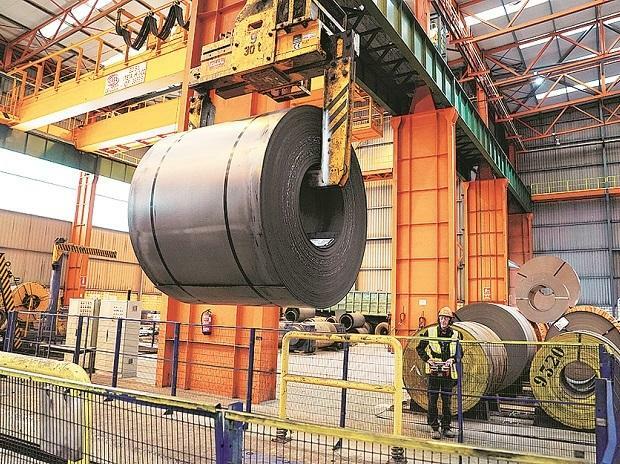 Neelachal Ispat Nigam Ltd (NINL), a steel firm jointly promoted by trading giant MMTC Ltd and two Odisha government controlled entities, has recorded 111 per cent surge in hot metal output in last fiscal. Production of hot metal at NINL's Duburi plant in Odisha touched 0.76 million tonnes (mt) in FY19 compared with 0.36 mt in 2017-18. Hot metal output in last fiscal is NINL's highest since inception. Pig iron production grew by 83.2 per cent to 0.33 mt, the steel mill's second best since the date of starting commercial operations. Sinter output, too, witnessed a robust spike of 91.1 per cent to reach 1.18 mt. NINL accomplished long steel and billets production of 76,866 tonnes and 68,081 tonnes respectively. The company is expected to start operation of its 110 million tonne reserves iron ore captive mines from the first quarter of the present fiscal. It has already got environment clearance, Stage-I forest clearance and completed the execution of mines lease. The steel PSU operates 1.1 million tonne per annum (mtpa) integrated steel plant at Kalinganagar. The plant went through a major blast furnace overhaul beginning late November 2017 and resumed operations in May 2018. The steel unit recommenced billets production in December last year. It has also forayed into production of special grade billets which have applications in electrical power transmission towers growing at a frenetic pace in the country. NINL also plans to market its own brand of TMT, wire rods and structures through conversion agents.